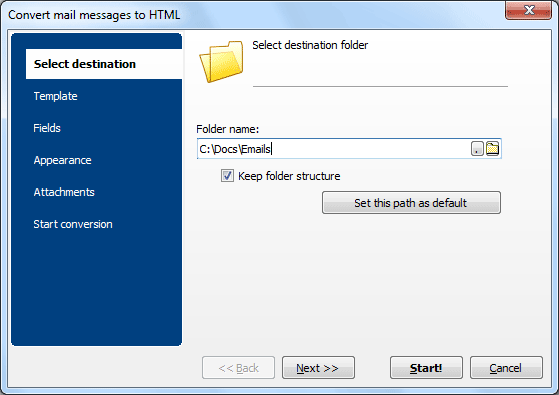 Exporting emails from Thunderbird to image formats usually causes problems due to the different of formats. Email text can be improperly interpreted to graphics, or simply be unreadable due to low quality. You will not have this problem if you use Total Thunderbird Converter Pro. 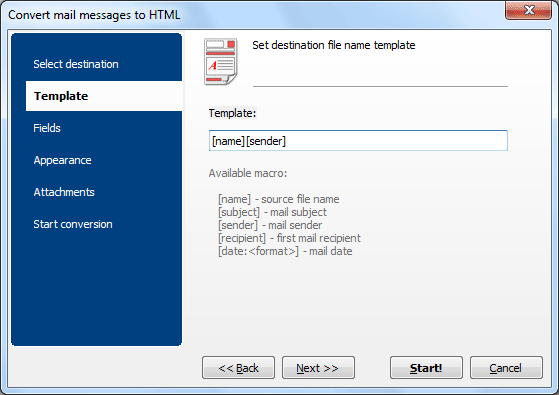 It can convert Thunderbird emails with attachments to TIFF format. You can adjust the output quality of graphics, as well as a lot of other features. You do not need to run the program separately for converting attachments. You can either convert them or simply store in a folder for further use. These settings are made in conversion wizard together with other conversion parameters, so it is very quickly to setup it all together. First you setup connection to Thunderbird when launching the converter. 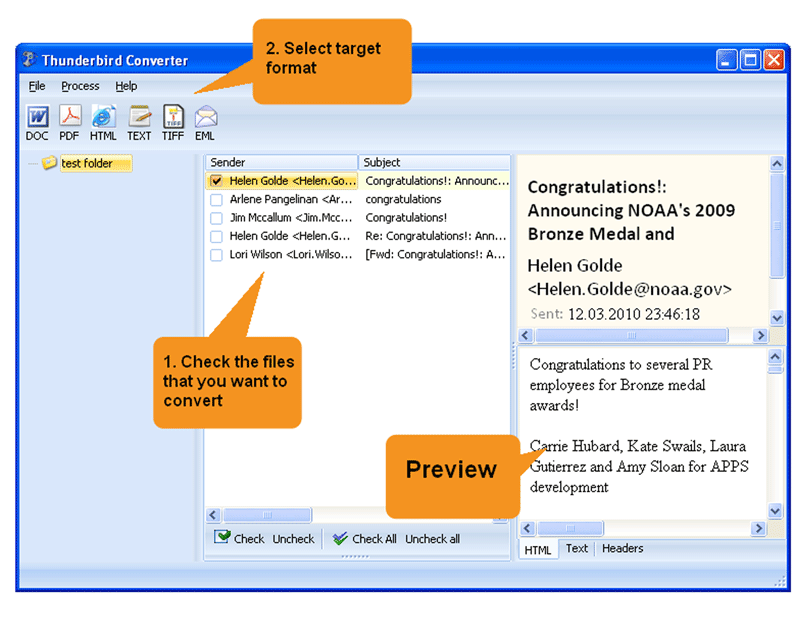 Then you need to navigate through email folders and check off sources for conversion files. In the wizard you will be able to edit header/footer for output TIFF copies, set paper size and select compression mode to one you prefer. Compressing will help to reduce the file size, as TIFF itself is rather big in size. This Thunderbird converter offers 7 compression modes, as well as uncompressed variant. Emails in TIFF can be a good fit for design purposes or for printing, especially if there are tables or images. Attached images can be inserted to the email TIFF copy. For this you only need to check the proper option in Attachments menu. Also there is ability to convert Thunderbird to TIFF from the command line. You can also set converting attachments using command line parameters. Try this converter right now for free, it will surpass your expectations!